MILWAUKEE – (April 11, 2018) – Johnson Controls introduces the Iris ID® IrisAccess® iCAM 7S Series multifactor biometric readers offering superior performance and easy integration with Software House’s C•CURE 9000 security and event management platform. 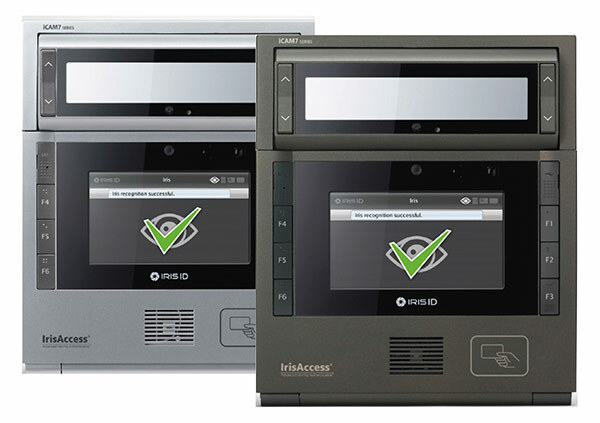 The IrisAccess iCAM 7S Series readers are part of the new 5th generation IrisAccess platform, whose global, multi-market deployments number in the millions. When used with C•CURE 9000, the readers become part of a powerful security management system that can monitor events, manage personnel, create reports and operate as a unified security management system when integrated with video, intrusion, fire, real-time location and other security devices and platforms. C•CURE 9000 uses a 64-bit operating system and multiple CPU cores to make it one of the fastest and most secure security solutions in the market. The platform can also be deployed across multiple sites and managed from a single user interface. The IrisAccess iCAM 7S Series with C•CURE 9000 feature fast, fully automatic dual iris capture and a non-contact, hygienic reader offering high accuracy, excellent throughput and flexibility in integration. An intuitive user interface employs audio and visual cues to facilitate fast user enrollment from the edge. Built-in high- and low-frequency card readers and an optional touch screen LCD keypad provide single, double and triple authentication options. Security features built into the iCAM hardware and Entry Access Control (EAC) software help prevent tampering. High resolution, high standards-based image quality makes the readers ideal for use in high security deployments. In addition, each reader has the database capability of 100,000 credentials with biometric data and a transaction log capacity of up to one million transactions per reader, making the iCAM 7S Series readers suitable for high traffic areas. IrisAccess iCAM 7S Series readers are compatible with the IrisAccess 4000 and 7000 Iris Recognition platforms, in addition to the C•CURE 9000 security and event management platform integration.